Visiting gliders are welcomed at any time, however due to the nature of the airfield and of the gliding operation some precautions are needed. All pilots are urged to download and read the Briefing Notes if not familiar with the site. 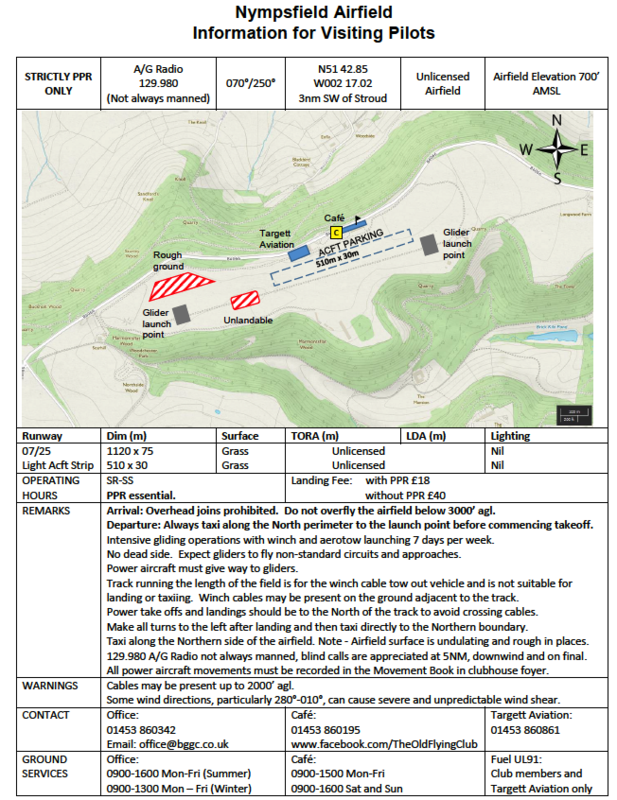 Please note for powered aircraft the airfield is strictly PPR (see below), please download and read the full briefing notes and note that, in common with most gliding sites, overhead joins should not be used, due to the danger of collision with winch cables.